Samantha Monroe was 12 years old in 1981 when her parents enrolled her in the Sarasota, Fla., branch of Straight Inc., an aggressive drub rehab center for teens. Barely a teen, Samantha also had no history of drug abuse. But she spent the next two years of her life surviving Straight Inc..
She was beaten, starved and denied toilet privileges for days on end. She describes her "humble pants," a punishment that forced her to wear the same pants for six weeks at a time. Because she was allowed just one shower a week, the pants often filled with feces, urine and menstrual blood. Often she was confined to her closet for days. She gnawed through her jaw during those "timeout" sessions, hoping she'd bleed to death. She says that after she was raped by a male counselor, "the wonderful state of Florida paid for and forced me to have an abortion." There are hundreds of Straight stories like Samantha's. Wes Fager enrolled his son in a Springfield, Va., chapter of Straight on the advice of a high school guidance counselor. Fager didn't see his son again until three months later — after he'd escaped and developed severe mental illness. Since then, Fager's set out to clear the air on Straight. He has accumulated stories like Samantha's and his son's on a clearinghouse Web site. They are stories of suicides and attempted suicides, rapes, forced abortions, molestations, physical abuse, lawsuits, court testimonies, and extensive documentation of profound psychological abuse at Straight chapters all over the country. Yet, the Straight model of drug treatment is thriving, with the trend toward "boot camp" style rehab centers growing more and more en vogue and Straight's founders, high-powered Republican boosters Mel and Betty Sembler, wielding enormous influence over U.S. drug policy. Mel Sembler is currently serving as President Bush's ambassador to Italy, and the Semblers serve on the boards of almost every major domestic anti-drug program. They are longtime close associates of the Bush family, and are behind efforts to defeat medicinal marijuana initiatives all over the country. 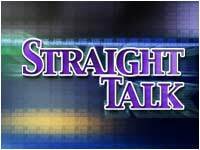 Despite the horrors that have surfaced about Straight's history, they are proud and unrepentant about the program. With more and more U.S. states turning to mandatory treatment instead of incarceration for minor drug offenses — with Mel and Betty Sembler continuing to flex political muscle in the power corridors of the drug war — the story of Straight is one worth hearing. Straight was spun off of a rehab program called The Seed based on the "synanon" method of treatment. Established in 1972, the program lost its funding after a congressional investigation turned up evidence of brainwashing and cult-like mind control tactics. But a Florida congressman named Bill Young persisted. He found advocates in the Semblers and persuaded them to start a similar rehab center in St. Petersburg, which they called " Straight Incorporated ." Despite allegations of abuse from escaped members and pending lawsuits, over the next 15 years Straight won laudatory praise in Republican circles. Luminaries from Nancy Reagan to Princess Diana visited Straight branches and touted their successes (though by most estimates only about 25 percent of Straight "clients" ever completed the program). But Straight's tactics soon caught up to it in the courts. A college student won a false imprisonment claim of $220,000 in 1983, and another claim cost Straight $721,000 in 1990. A Straight spin-off called Kids of North Jersey lost a $4.5 million claim in 2000. Straight chapters across the country began to shut down, culminating with the last branch in Atlanta closing in 1993. But the Straight philosophy was far from finished. Many chapters and directors reopened new clinics that employed the same tactics under different names — such as KIDS, Growing Together and SAFE. Florida Gov. Jeb Bush visited and praised SAFE, despite the fact that a Miami television station reported widespread Straight-like abuse at the facility in a 2000 expose. Amidst mounting lawsuit losses and bad publicity throughout the 1990's, the umbrella organization Straight Inc. changed its name in 1996 to the Drug Free America Foundation. DFAF thrives today — receiving $400,000 in federal subsidies in 2000 and $320,000 from the Small Business Administration. "It amazes me that despite the pattern of complaints and abuse allegations, Straight chapters can simply change their names and continue to operate," says Rick Ross, a cult expert and intervention specialist. Ross says there's an unfortunate market for "rehab" centers that take burdensome children off the hands of troubled parents. Most troubling, however, is the considerable and continuing political clout of Straight Inc.'s founders. Former President Bush once shot a television commercial for DFAF, and designated the Semblers' program as one of his "thousand points of light." Long a presence in Florida Republican circles, Mel Sembler was tapped as ambassador to Australia in 1989. Today he serves the younger Bush as ambassador to Italy, and he served on the board of the 2000 Republican National Convention. Betty Sembler co-chaired Jeb Bush's campaign committee. In return, the governor declared Aug. 8, 2000, "Betty Sembler Day" in Florida — due, he said, to her work "protecting children from the dangers of drugs." She also serves on the board of DARE, the largely failed anti-drug program for elementary school students. DFAF also worked with then-governor Bush on anti-drug programs in Texas, and today claims to have his ear on national drug policy as well. Indeed, Arizona prosecutor and Sembler favorite Rick Romley was on Bush's short list for drug czar. Though Romley wasn't nominated, Bush did tap staunch drug warrior John Walters. The nomination caused Betty Sembler to remark, ".... we have lacked the leadership and support of the White House ... until now." "It's really shocking that the Semblers are still lauded and honored after all that's come out about their organization," says cult expert Ross, a self-described Republican. Last year, a reporter from the Canadian e-zine Cannabis News asked Betty Sembler in person about the horror stories he'd read from Straight survivors. "They should get a life," Sembler replied. "I am proud of everything we have done. There's nothing to apologize for. The legalizers are the ones who should be apologizing." That's the attitude of the drug war's power duo, who can be unrepentant about the lives their program destroyed because they believe a win-at-all-costs approach is the only way to remove the scourge of drugs from society. Shattered lives, suicides, forced abortions, fractured psyches — all necessary casualties of the drug war, and nothing to apologize for. Radley Balko is a writer living in Arlington, Va., and publisher of The Agitator.com. For the latest in sports news, visit http://www.foxsports.com/.